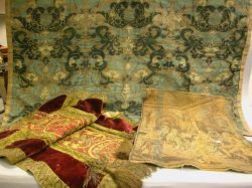 Two Framed Chinese Embroidered Silk Panels. 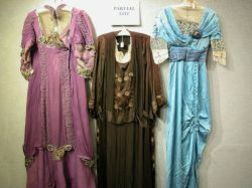 Five Edwardian Lady's Embroidered and Embellished Gowns. 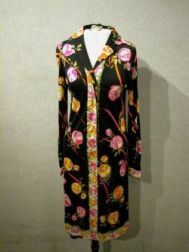 Pucci Silk Rose Pattern Long Sleeve Button-Down Dress. 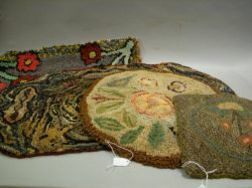 French Beaded, Enameled, and Embroidered Purse. 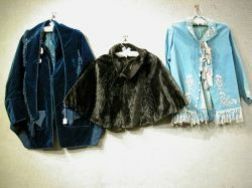 Victorian Beaded and Fringed Velvet Capes and Jacket and an Embroidered and Fringed Jacket. 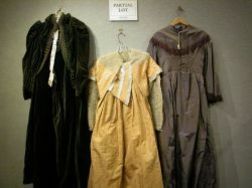 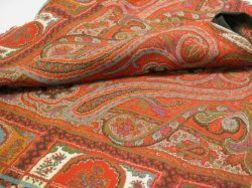 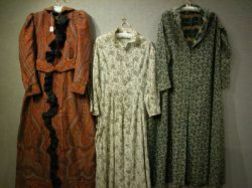 Woven Wool Paisley Robe and Two Printed Cotton and Wool Night Dresses. 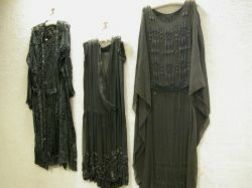 Three 1920-1935 Ladys Black Beaded Evening Dresses. 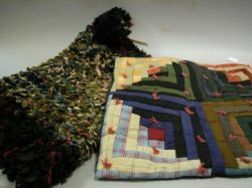 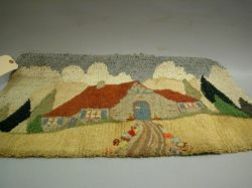 Small Hooked Rug with House. 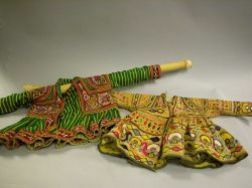 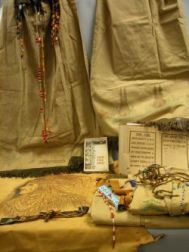 Two Ethnographic Childrens Embroidered Cotton Dresses. 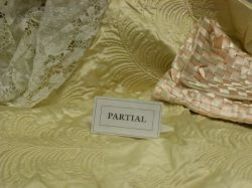 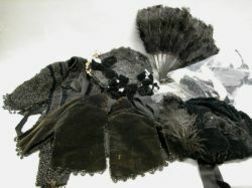 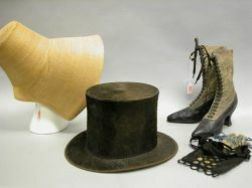 Two Victorian Ladys Hats, a Black Feather Fan, Two Jet Beaded Shoulder Collars and Pieces of Lace, Trim and Beading. 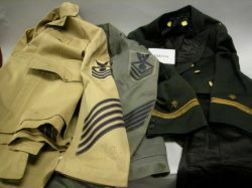 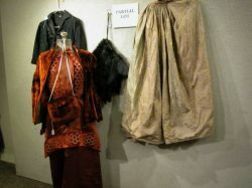 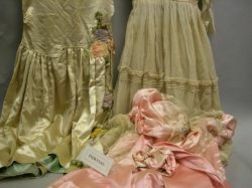 Five Assorted 1910-1940 Lady's Gowns and Dresses. 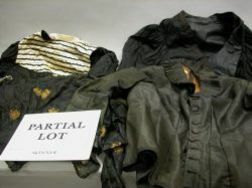 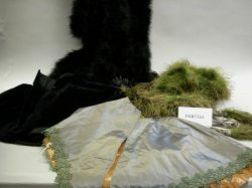 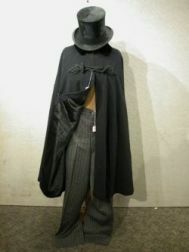 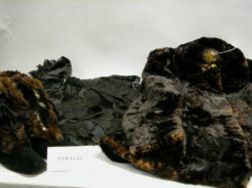 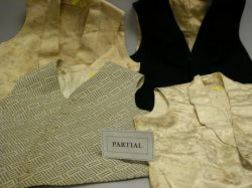 Seven 19th Century Lady's Shoulder Capes, Green and Black Ostrich Feather Shoulder Cape and Shawl.